For Ganesh Chaturthi 2011, Khairatabad Ganesh idol in Hyderabad would be the one among the largest Ganesha idols in India with the height of 53 feet. Khairatabad Ganesh idol known for its mammoth size, is the largest Ganesh idol in India for every Ganesh Chaturthi or Ganesh Festival. Like every year, in 2011, it will be the largest once again with over 50 feet height. In 2011, this mammoth Ganapati is called as Mooshika Vahana Ganesha. It is to note that Ganesh Chaturthi 2011 date is September 1. For Ganesh Chaturthi 2011, the Ganapathi vigraham model is released for media. A globe of 20 feet breadth and 4 feet height is built and on that a Mooshika (rodent / rat) of 15 feet height is constructed. On Mooshikam, Lord Ganapathi vigraham of 30 feet height is constructed. 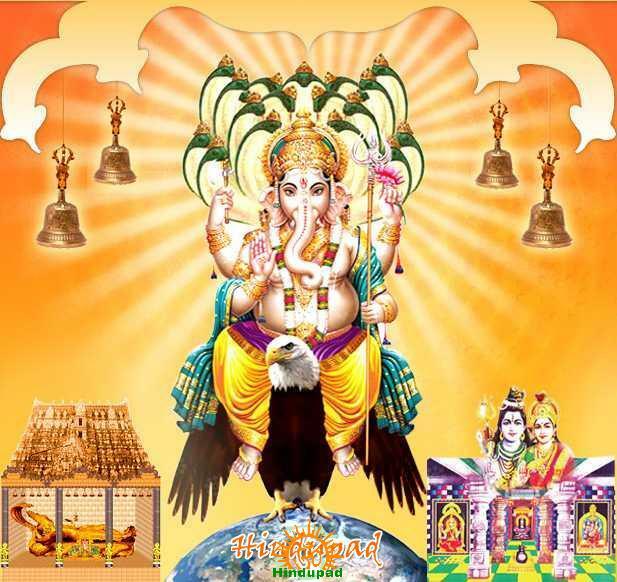 Lord Vinayaka will have 18-hooded giant serpent of 5 feet height is designed. Estimated that this year the Mammoth Ganesha idol will go much higher than ever with 55-feet height. The design of the Ganesh idol has not yet finalized.. There may be minor changes – as per sources, Mooshika vahana may become Garuda Vahana and instead of Shiva Parvati idols, Anantha Padmanabha swamy may appear either side of the Mammoth Ganpati idol. Apart from the replica of Anantha Padmanabha Swamy idols, the highlights of Khairtabad Ganesh 2011 are: 1,600 kg Laddu and 20-foot dhoop stick (agarbatti). The right side of the statue will have the model of Vemulawada Rajarajeshwara swamy temple and the right side will have an idol of Goddess Gajalakshmi (Lakshmi Devi sitting on an elephant) or Goddess Durga sitting on the tiger. hi naveen how to place tags like you,is there any plugin or you had coded it.